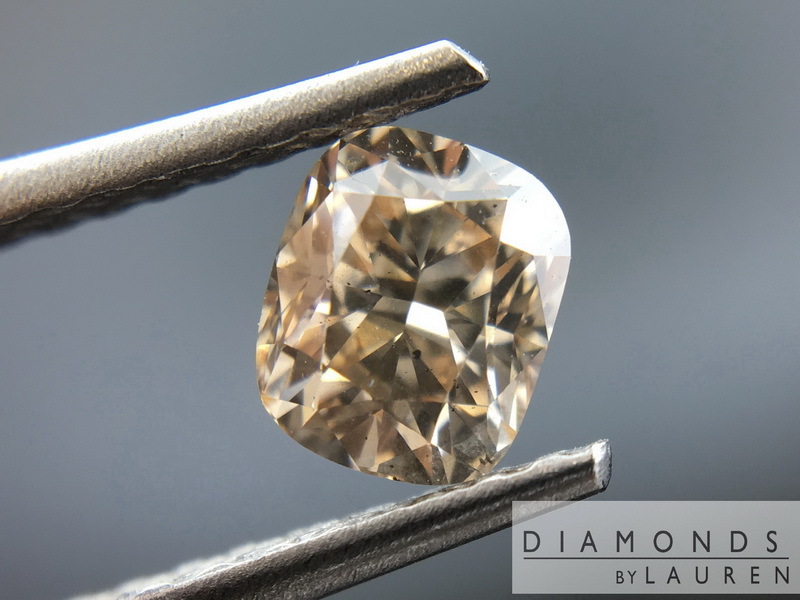 I love all shades of brown diamonds, and the lighter ones like this are actually harder to find. 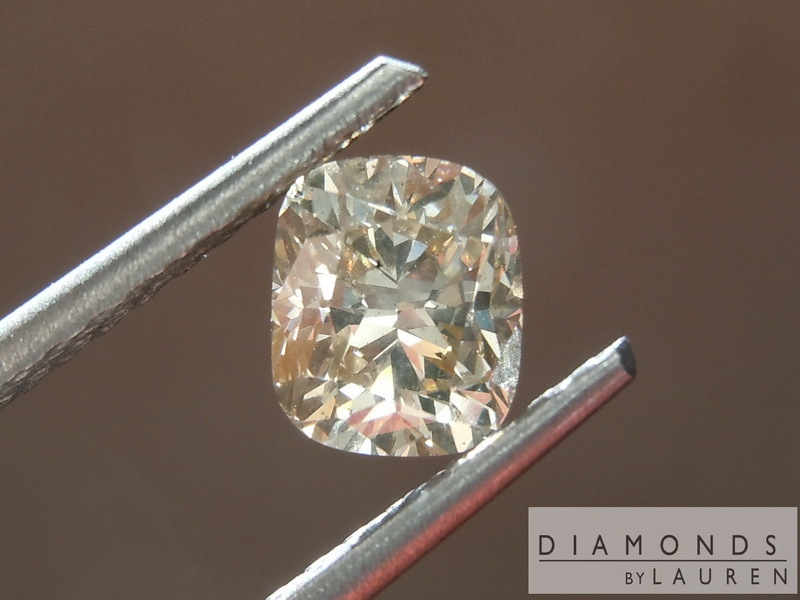 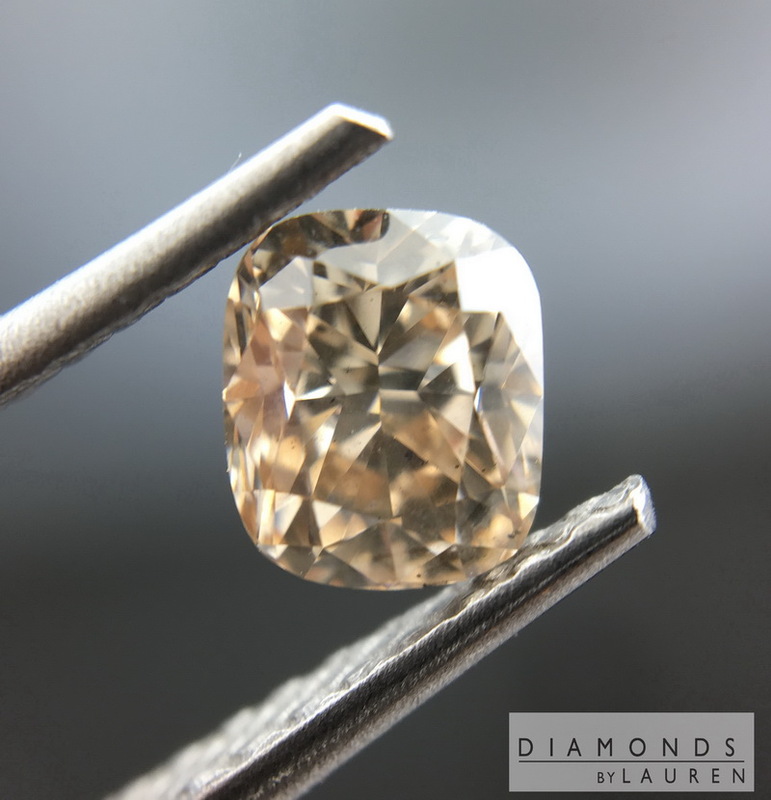 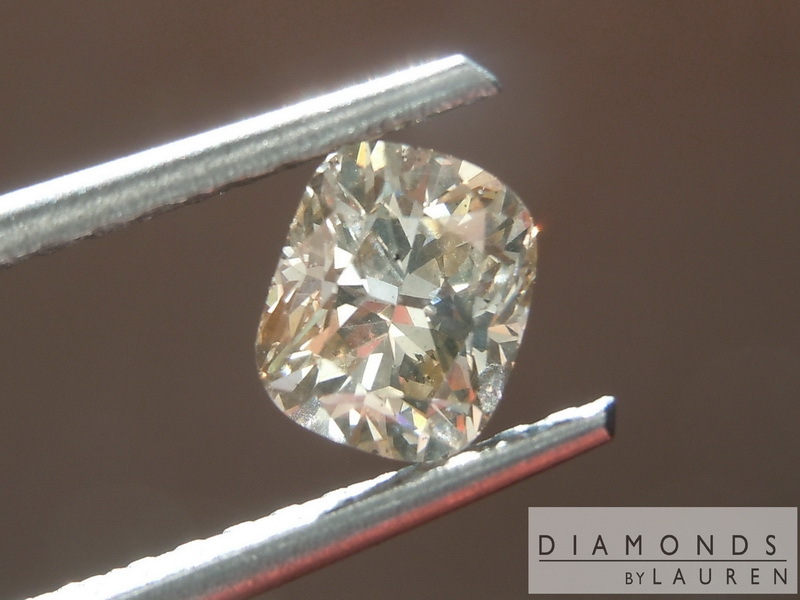 This diamond has a warm light brown glow. 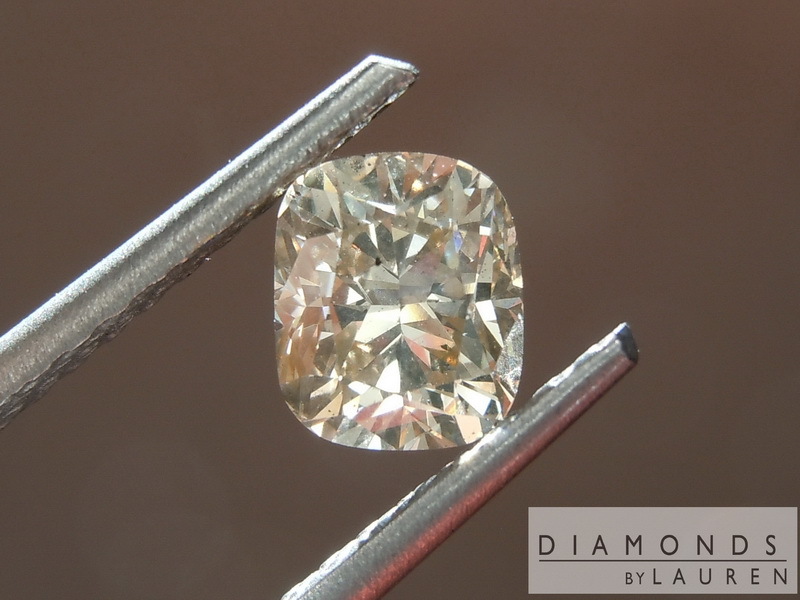 Lots of large flashes from this Cushion cut. 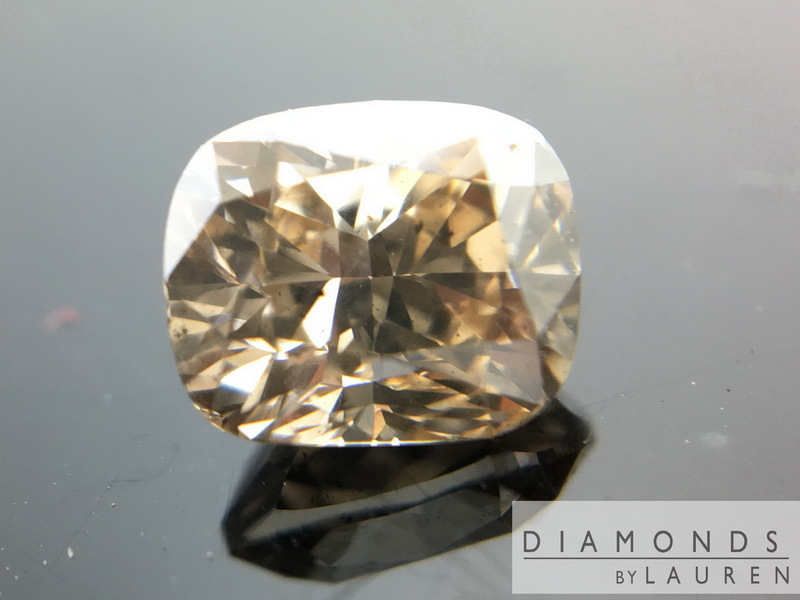 I have graded the diamond SI2, however I see it to be eye clean- there's a bunch of little stuff dispersed through out the stone. 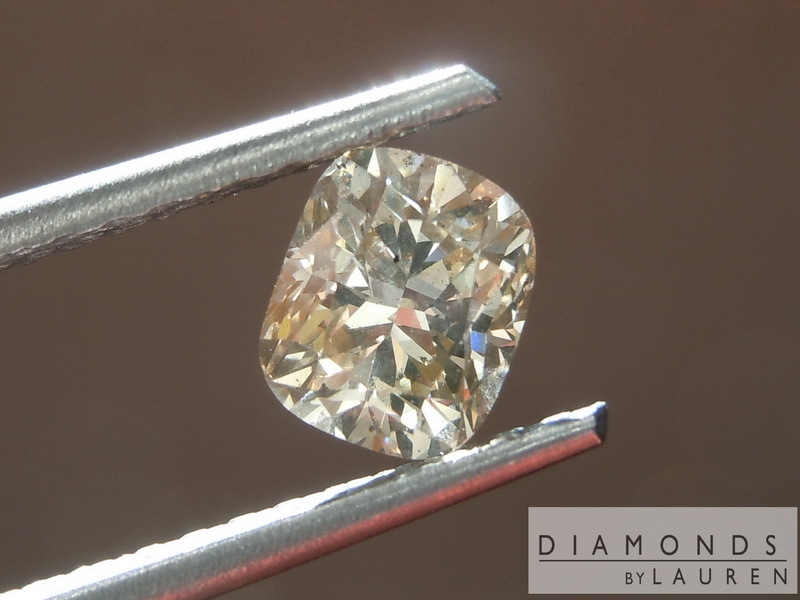 GIA report available for $159 additional.